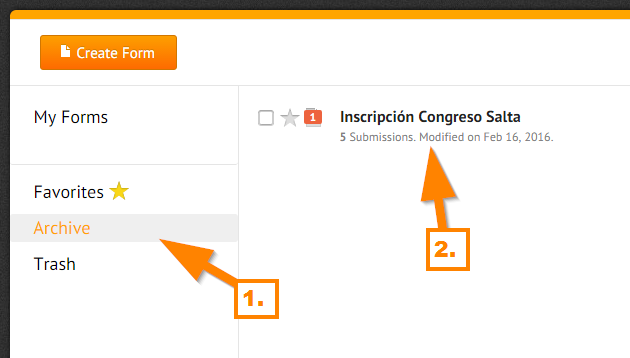 I presume you are referring to the form titled "Inscripcion Congreso Salta"? I see it was moved in your "Archive" folder. You can move it back to your "My Forms" list by selecting the form and clicking the "Unarchive" button. For the other concern you have regarding embedding the form in Dreamweaver, please refer to this link instead: http://www.jotform.com/answers/774066. We will address it accordingly.